The golden lion tamarin ( Leontopithecus rosalia ) also known as the golden marmoset, is a small New World monkey of the family Callitrichidae. 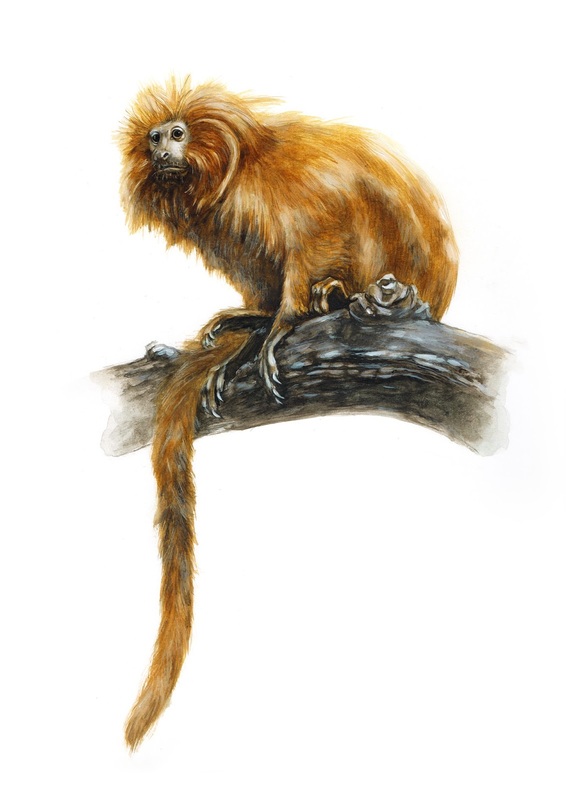 Native to the Atlantic coastal forests of Brazil, the golden lion tamarin is an endangered species with an estimated wild population of about 3,200 individuals spread between four places along southeastern Brazil, and a captive population maintained at about 490 individuals among 150 zoos. The golden lion tamarin gets its name from its bright reddish orange pelage and the extra long hairs around the face and ears which give it a distinctive mane. It is typically around 261 mm and weighs around 620 g. There is almost no size difference between males and females. They are social and groups typically consist of 2-8 members.